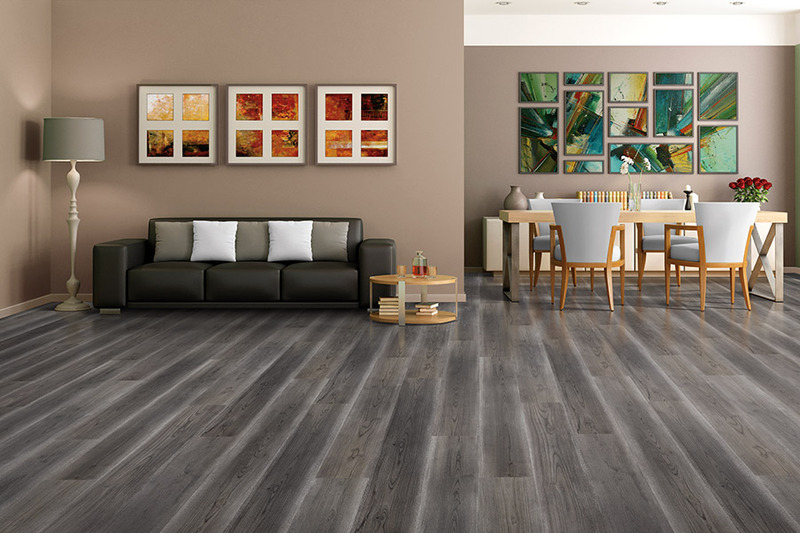 When it comes to laminate flooring, you might be surprised at the amount of benefits you stand to gain from its installation in your home. It offers durability, a decent life span, variety in appearance, and it has very affordable options. Bringing it all together, it only makes sense to at least consider this floor covering for your own home. Doing so might just leave you with the floor of your dreams. At Prattville Carpet Inc., we have made a strong commitment to making sure our customers are completely satisfied. From our large selection of high quality flooring, to our professional installation services, your satisfaction is our goal. We have long served the areas of Prattville, Montgomery, Millbrook, Wetumpka, and Pike Road, all from our Prattville, AL showroom. We invite you to visit us and allow us the opportunity to earn your business as well. Of course, laminate was the very first product to hit the market that perfectly mimicked the look of all natural, solid hardwood flooring. 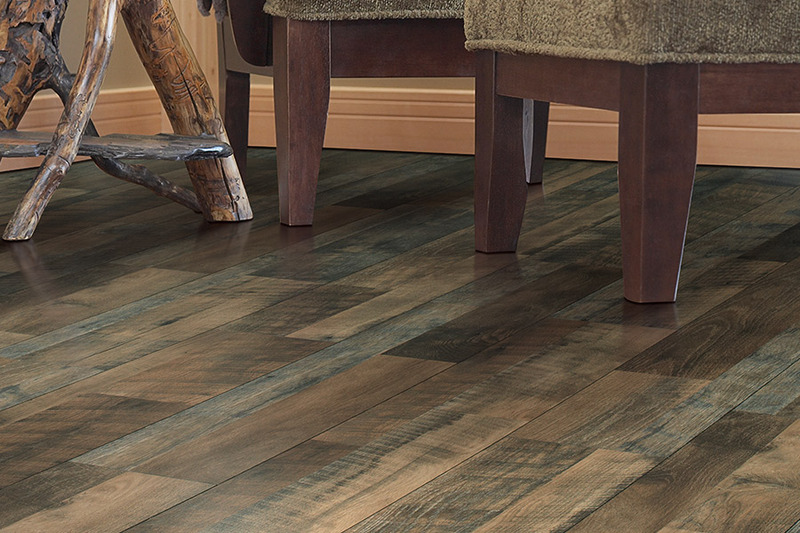 From the amazing look of species, to stain color and finish options, it has always been a go-to product for those wanting the wood floor look without the maintenance or the budget that goes along with it. Hardwood floors can never be installed in below grade spaces, or anywhere moisture, humidity and temperature changes play a large part. 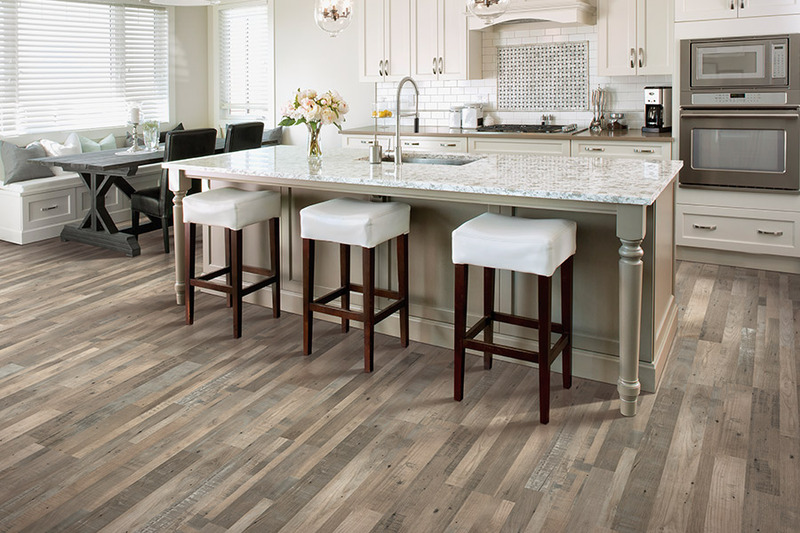 So until laminate came to be, there was no such thing as wood flooring in kitchens, bathrooms or basement rooms. Being able to have the look of wood floors in these areas provides excellent continuity for homeowners who already have wood floors in other areas of their home. Along with the great look of laminate floors, you get some amazing benefits. 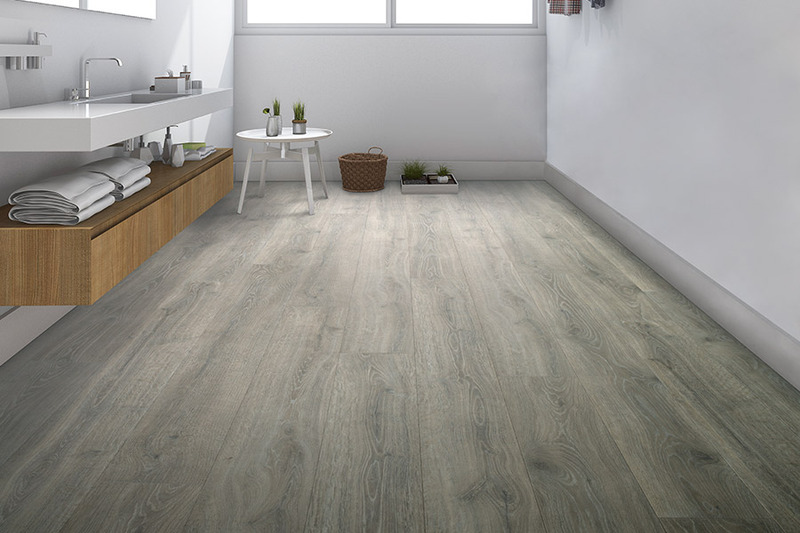 For instance, if there is a portion of your flooring that is a bit uneven, laminate can be laid on top of that to create a more proportionate look and feel. 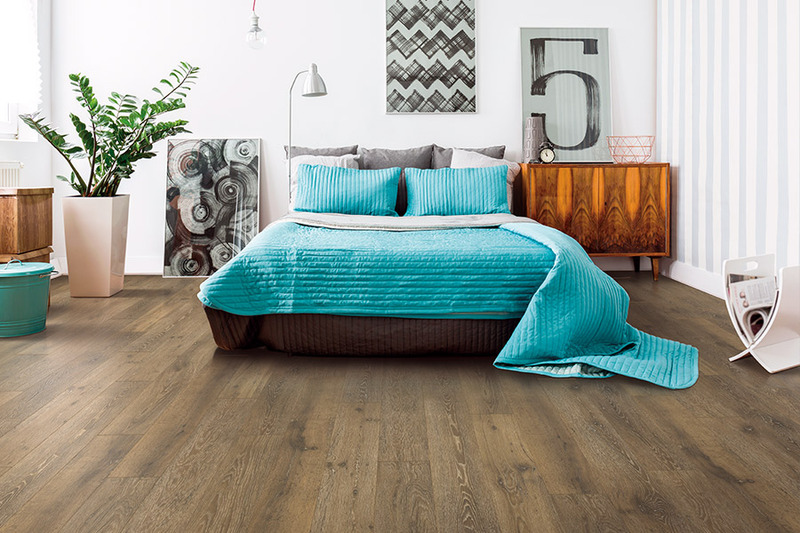 The stability will be welcomed as well, as many laminate floors feature a click and lock installation system that gives you a “floating floor”. 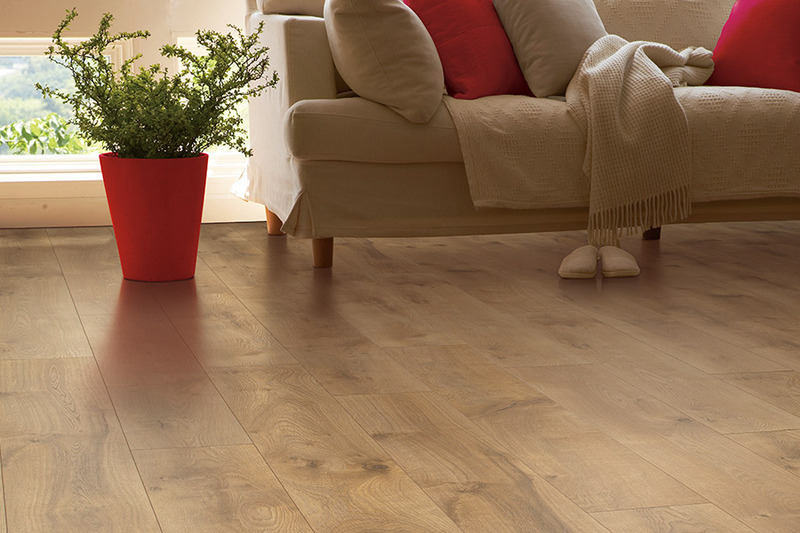 Using underlayment beneath your laminate flooring can also create a bit of resilience, offering a spring in each step you take. It also means that standing for meal preparation or dish washing can be much more comfortable. Additionally, the same underlayment can also offer noise reduction, especially concerning clicking shoe heels and pet nails.